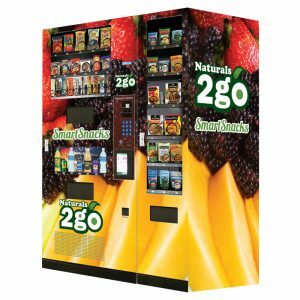 The Seaga Naturals 2 Go 4000 Healthy combo vending machine is packed with cool features. The machine comes with the healthy vending wrap on all 2 sides of the machine which makes the machine really stand out. The machine has an optional Air-Vend credit card reader that can be added for a small additional cost. It will accommodate 7 different cans or bottles of various sizes in the refrigerated portion of the machine. 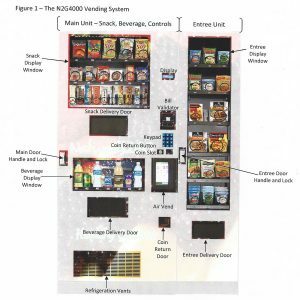 In addition, the machine provides 21 different snacks and 16 different entrées in the optional non-refrigerated entrée machine which attaches to the side. This NAMA Certified healthy vending machine will improve productivity as it eliminates the need for employees to run out to local convenience stores for lunch or break time, and you can feel good that you are providing healthy options to your customers. This healthy combo vending machine contains a Dollar Bill Validator which accepts $1, $5, and $10 bills. The coin changer will accept and dispense nickels, dimes, quarters, and also dollar coins. You can add a credit card reader to the machine which can double your sales without doing any extra work. The credit card reader is made by Air-Vend and also has a 7" touch screen pad which will show nutritional value information. 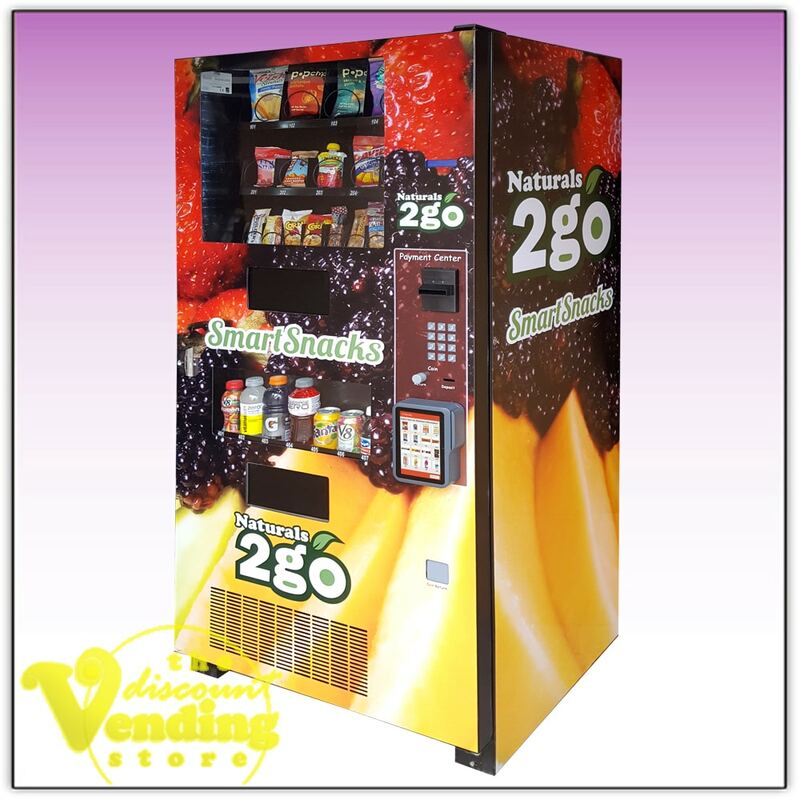 The Seaga N2G4000 Healthy Combo Vending Machine is manufactured by Seaga Manufacturing and it is the actual machine distributed from Naturals 2 Go (N2G) and Vend Tech, which is their parent company. Since Seaga is always modifying the design of the machine, the parts and and firmware may differ slightly from other N2G machines. Parts for this machine are readily available from N2G or Seaga and we also carry parts that we can sell to you if needed. Included with the purchase is the owner’s manual, and one set of keys. The machine is classified as refurbished which means it has been thoroughly cleaned and tested. 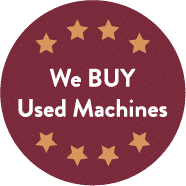 We have tested all components of the machine including but not limited to each of the motors, dollar bill validator, coin changer, media link display, card reader, key pad, LED display, and refrigeration unit, and everything was found to be in perfect operating condition. It may have a few minor scratches, or sticker pealing but nothing significant. If you would like pictures of your machine before you order we would be happy to accommodate your request. The machine includes a three month warranty on all the parts provided by The Discount Vending Store. We also provide a lifetime of technical support and assistance to you as long as you own the machine. The Discount Vending Store is not affiliated with N2G and the purchase of this machine from The Discount Vending Store does not entitle you to programs or features offered by N2G. 1. 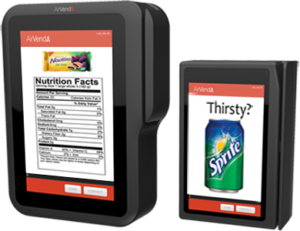 There is an optional Air-Vend tablet which can be added to the vending machine. The Air Vend is a credit card reader and a touch screen all in one. The touch screen allows you to display nutritional information on every product you sale. Each of your products can easily be uploaded into the Air-Vend unit from an off-site website. The credit card reader on the Air Vend will accept all major credit cards and has the potential to greatly boost your sales and bottom line. It will also allow you to log in to your machine remotely from your home or office computer and obtain real-time, detailed sales reports on each product that has been sold. 2. There is an optional Entrée unit which can be added to the left side of the machine for a small additional fee. The entrée unit accommodates 16 large selections for vending non-perishable food items such as Cup-o-Soup, Hormel meals, pastries, or other meals. 3. 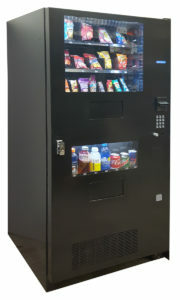 If you would prefer the machine without the healthy vending wrap, we can remove the wrap and it will be a black machine.